Their Royal Highnesses Crown Prince Alexander and Crown Princess Katherine last night at Buckingham attending the 70th birthday celebrations of His Royal Highness The Prince of Wales. The invitation came from Her Majesty Queen Elizabeth II and The Duke of Edinburgh. 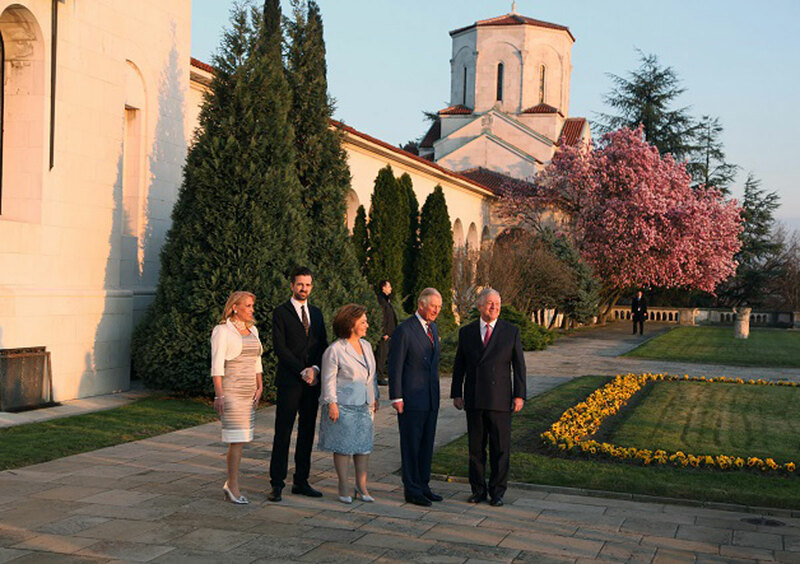 The Royal Family of Serbia has multiple family ties with the British Royal Family. These family ties are on the side of the Windsor’s, the family of Queen Elizabeth II and on the side of her husband The Duke of Edinburgh. The kinship between the Serbian and the British Royal Family began with the marriage of King Alexander I and Romanian Princess Maria after the First World War. The future Queen Maria was the great-granddaughter of Queen Victoria. Crown Prince Alexander is also related to the Queen’s husband, The Duke of Edinburgh, through his mother, Queen Alexandra, who was the daughter of the Greek King Alexander, the uncle of the Duke of Edinburgh. Her Majesty Queen Elizabeth II (the mother of the Prince of Wales) is the godmother of His Royal Highness Crown Prince Alexander, together with her father, King George VI. The godfather at the baptism of the Crown Prince’s father, His Majesty King Peter II, was King George V and the King’s Envoy to the baptism in Belgrade was the future British King George VI (the father of Queen Elizabeth and the grandfather of The Prince of Wales). Crown Prince Alexander’s grandmother, Her Majesty Queen Maria was the great-granddaughter of Her Majesty Queen Victoria. Their Royal Highnesses Crown Prince Alexander and The Prince of Wales were also together at Gordonstoun School in Scotland.